For Chinese, this rainy season isn't something unexplainable or strange, it's exactly because of the Nine Emperor Gods Celebration that brings the rain to the land (according to what's been told to me by the elders). It's one of the Chinese oldest traditional celebration of stars alignment. 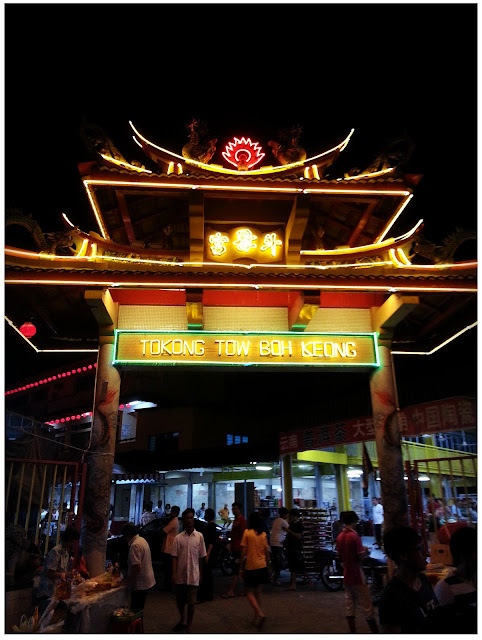 It's been quite some years I didn't pay any visit to temples for this celebration, decided to go to Tow Boh Keong Temple in Ipoh to pray when I was there. 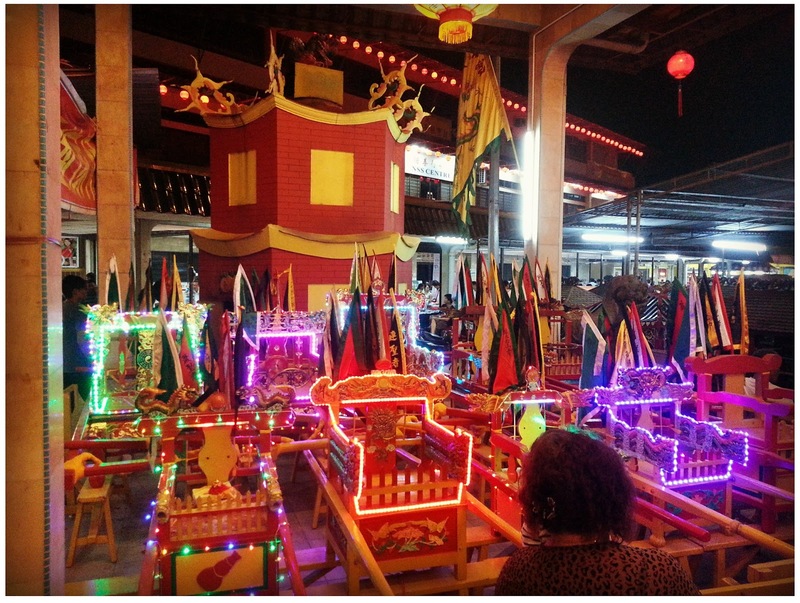 It's the largest and merriest celebration of all temple in Ipoh area. Colourful lights decoration from inside out. There are so many different stories about how this celebrations starts off, but I'm not really into translating the Baidu page, so you can search for 九皇爷 to read or translate it using Google. 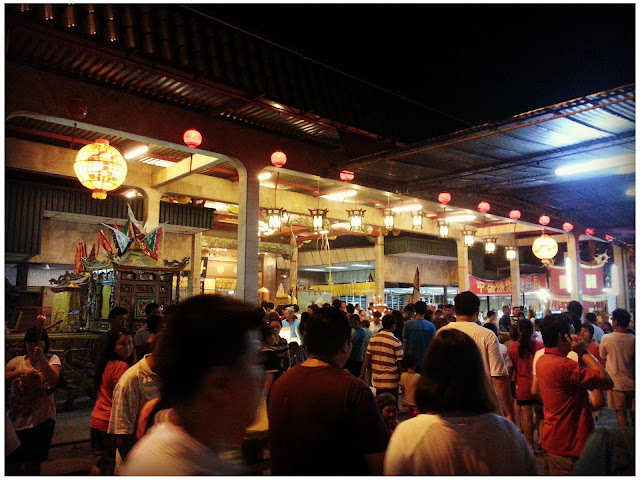 Malaysia is one of the country that did massive celebrations on these days. There are quite an amount of Buddhist followers/believers who become vegetarian for 9 days as a time to cleanse process of body, mind and soul. 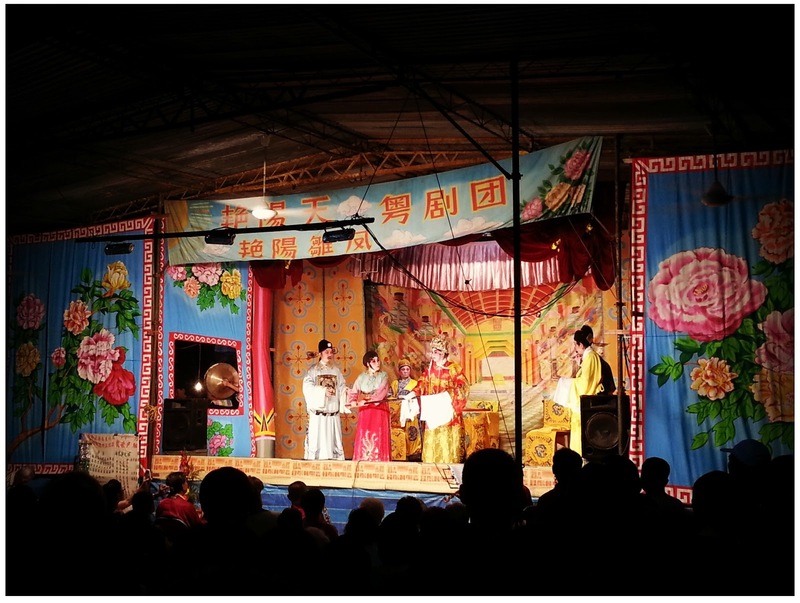 Cantonese Opera show. First time I watch it that's so near to the stage. 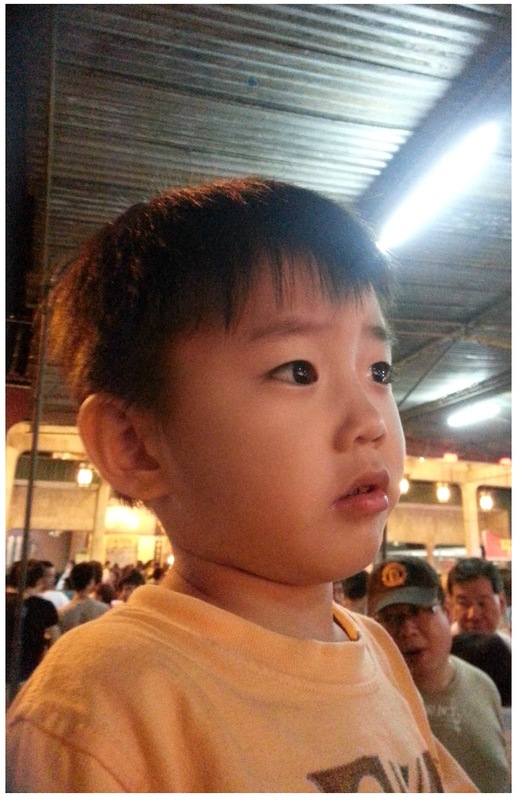 Look at how fascinated Xuan is watching those Opera actors and actresses acting on stage. Turtle buns that are so hot-selling food. They made tons of it at one go. I have no idea of the origin of turtle buns but you know, turtle means longevity, I guess after you eat it you can get some longevity blessings from the Gods? But they are sure to be one of the cutest bun I've seen. 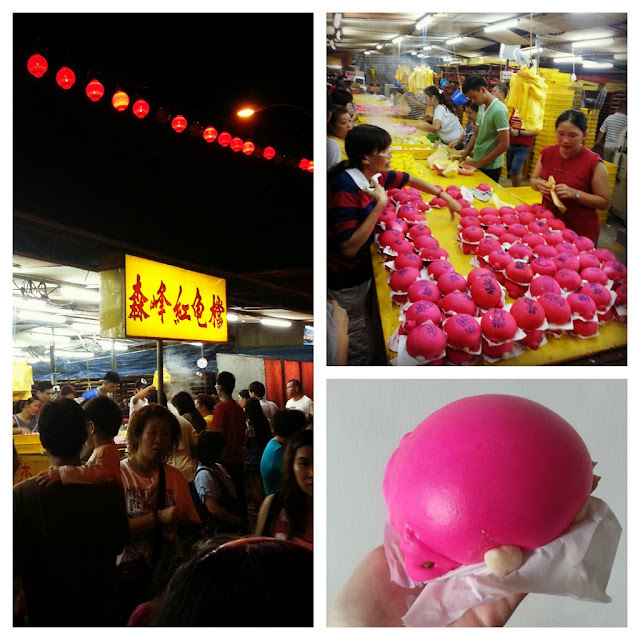 A lot of tourists from other states come to Ipoh by bus just to buy this turtle bun. Colourful decorations for Psychic usage. 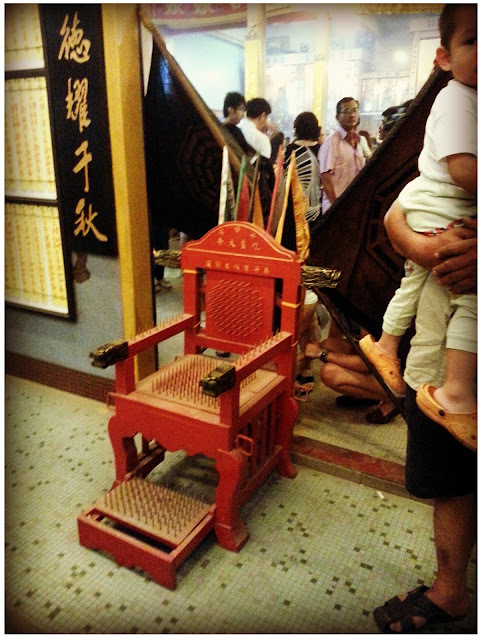 There are Psychics who invite Gods to attach to their body in this celebration and they will do a lot of things such as walking through fire, sits on the chair full of nails etc. There's nothing to be afraid of as they're spiritually protected by God while performing such acts. One of the reason Psychics do all these are to pray for good fortune and blessings from Gods to their believers/followers. Too bad I missed and unable to witness the Psychics do their thing. It will be an eye-opening thing to see them invite the Gods attached to their body. 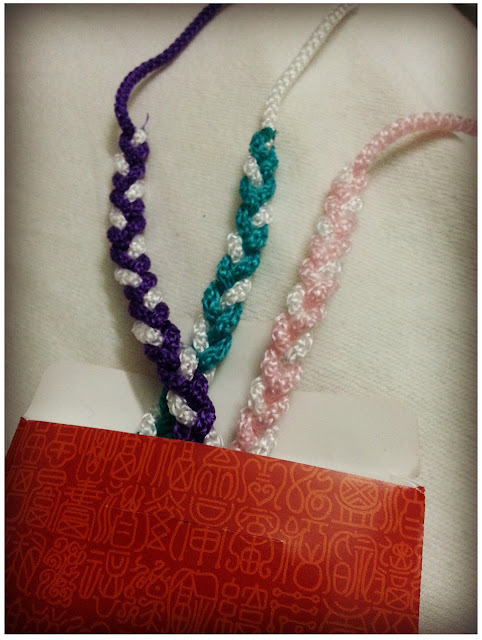 Bracelets that's prayed on for protection and blessings. It used to be yellow bracelets but now they come in so many colours and patterns. Bought these for my family. Guess which one is mine? Haha. Hope that my prayers will come true... And yeah, I know the rainy season isn't about this celebration but the monsoon instead. LOL.